Each form and new piece I design is informed by my background in all things art. There is nothing like throwing on the wheel, the balance and calm it washes over me, the symmetry... I love to create shapes that are pleasing to the eye. There is something so incredibly pleasing too, to the opposite side of my creative brain, in making things completely by hand. It was through this experimentation that I first achieved an "organic meets glam" aesthetic. the idea that something organic and raw can also lend a polished design element to a space. I use both stoneware and porcelain in my work. Gentle hand washing or spot cleaning is recommended for all ceramic ware to preserve the original beauty of the glazes. Gilded pieces contain real, 22k gold, so are not suitable for use in a microwave. As with fine china, hand washing is recommended in order to preserve the gold finish. 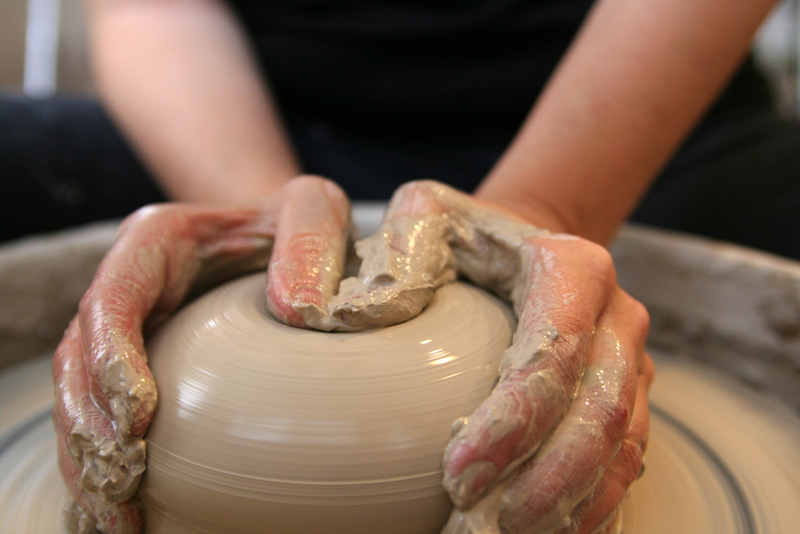 Each and every piece of Modern Mud ceramics is handmade. No two pieces are exactly alike, and slight variations and imperfections in shape, size, and glaze color may occur. This is the nature of all things handmade, and hint to the organic nature of the process. These elements add to the beauty of the handmade final product. I am happy to gift wrap items, and generally do so unless it is something too large, in which case the item is wrapped only in bubble wrap and tissue paper. If you would like to insure that your item will be gift wrapped, just send me a message and let me know. I am happy to include a gift message as well.